Working in a school that is nestled in the heart of our community has sparked my interest in Place-Based learning. Many of my students live close by, but have very little understanding of the place in which they live. I have pushed to ensure that my students have emotional ties to their neighbourhood. I know for certain this drive stems back to my own memory of a time when children would play for endless hours on their own front street, rallying other children to play a game of Hide-And-Go-Seek or they would ride to park down the street with a merry-go-round and a giant climbing frame. I fondly recall collecting all of my friends who lived on Queen Street and together we would set the boundaries for our epic rounds of Hide-And-Go Seek. We would hide in alleyways and in bushes. Sometimes we would have walkie-talkies and form teams to work together to get all of our team members to “home-free” before we were all found. The sun would be setting, our parents would be calling, and we would still be hiding. Childhood was marked with a sense of curiosity and imagination. It was lit with the electricity of friendly competition and friendship fuelled by a thrill for exploration and creativity. Fast forward twenty-five years and things have changed significantly. In his book The Disappearance of Childhood, Neil Postman (1982) notes that “…children’s games, once so visible on the streets of our towns and cities seems to be slipping from our grasp” (p. 4). There is much less rallying on our front streets; the streets are cricket quiet. In previous decades children were grounded in their community, making ties with locations that would subsequently become emotional connections. Their memories were rooted in the games they played with friends or the places that they ritually returned to. Sadly, these connections have diminished, along with the games that children played in their communities. English historians Peter and Iona Opies have identified over 100 games that that are no longer presently played by children of this generation. 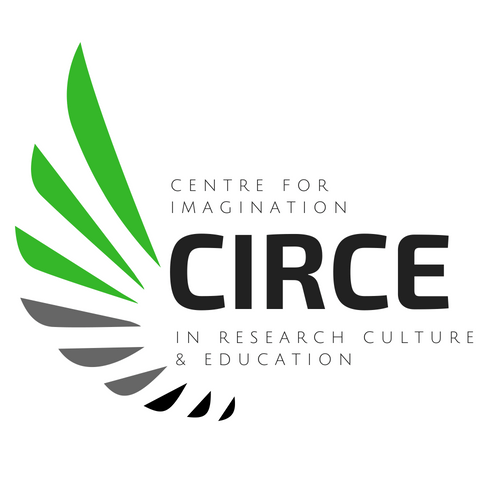 Postman states that “[e]ven Hide-and-Seek, which was played in Periclean Athens more than 2000 years ago, has now almost completely disappeared from the repertoire of self organized children’s amusements” (p. 4). These games, he states, “are an endangered species” (ibid). This deficit in neighbourhood play pulls my heart strings quite taught, for sense of place affords each of us the ability to “attribute meaning to the spaces of our daily lives that can come to have a profound impact on the way we understand the world, ourselves, and the relationship between the two” (Judson, 2015, p.61). Without neighbourhood and community play, children will miss out on a significant emotional connection that can impart ownership and advocacy for their community. In my practice I aim to support these emotional connections with place. As mentioned in my previous post, my focus for this year was to bolster my students’ sense of belonging. I wanted to help them develop an emotional connection not only to our classroom, but to our schoolyard and the surrounding community. 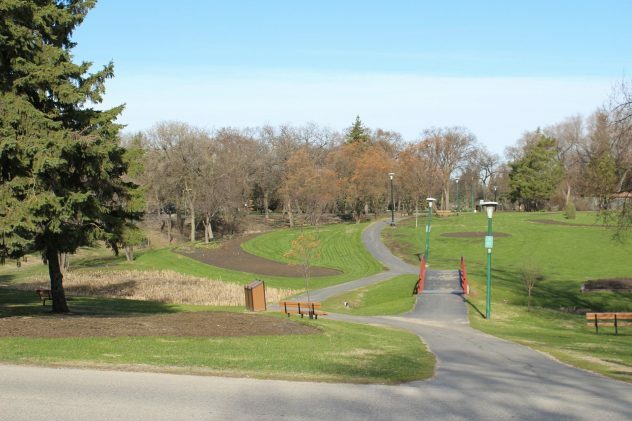 Our explorations started early in the year with short walks through our neighborhood and later expanded to one of Winnipeg’s larger parks: Kildonan Park. While at Kildonan Park we chose our “nature spot” and have continued to visit it over the course of the school year. This spot has blessed us with its ever-changing appearance as we visited from season to season. In the fall, we found flocks of geese preparing for their journey south, in the winter we found areas of ice, snow and slush, evidence of our ever-fluctuating temperatures throughout the winter months. Spring greeted us with bright green grass, flower beds bursting with new shoots, and trees with buds ready to burst. As we walk to and from this park, many of the children speak of the fun they have when their parents and grandparents take them there, and how excited they are to share our nature spot with them. It is very heartening to see the joy they have in knowing they have something to share and teach their families. As we became more familiar with our surroundings we begin taking notice of the names of streets and buildings around us. We began mapping the neighbourhood around our school, with each of the students marking which street they live on. It was enchanting to see the looks on some of the children’s faces when they realized how close they lived to one another. 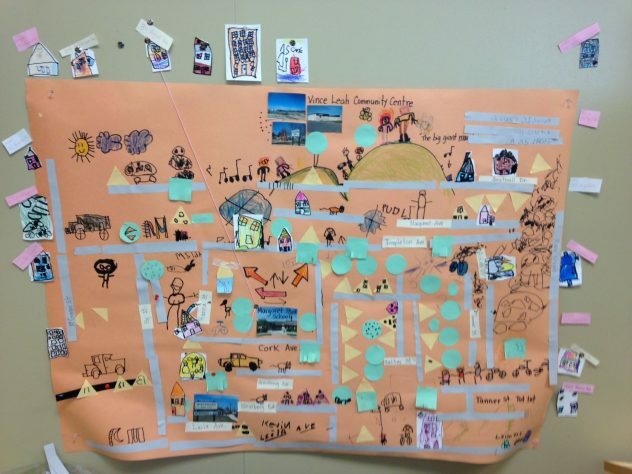 This map also helped children illustrate memories that connected to the places that we visited. Isabelle drew a picture of her and her cousin standing atop the hill at Vince Leah Recreation Centre, smiles as high as the sky. Valentina drew big blue puddles with x’s through them to denote the unfortunate experience of her slipping and falling into one of them on a very chilly day. Finally, Aleigha drew pictures of her and her sister happily riding their bikes down Leila Ave. Each picture illustrates the development of each child’s geographic literacy, and also their ability use place-based vocabulary to describe their experiences. Each morning begins with a sensory talk about the weather. What did it feel like on your skin? What did the air smell like? What did you hear? What can you see? (Judson, 2015) This activity has increased the students’ abilities to articulate their experiences with the weather each day. It has translated to our outdoor meditation which incorporates those four senses from each direction. We have worked diligently at broadening our connection to our outdoor surroundings, beginning with our school playground and extending to our streets and neighbourhood around us. 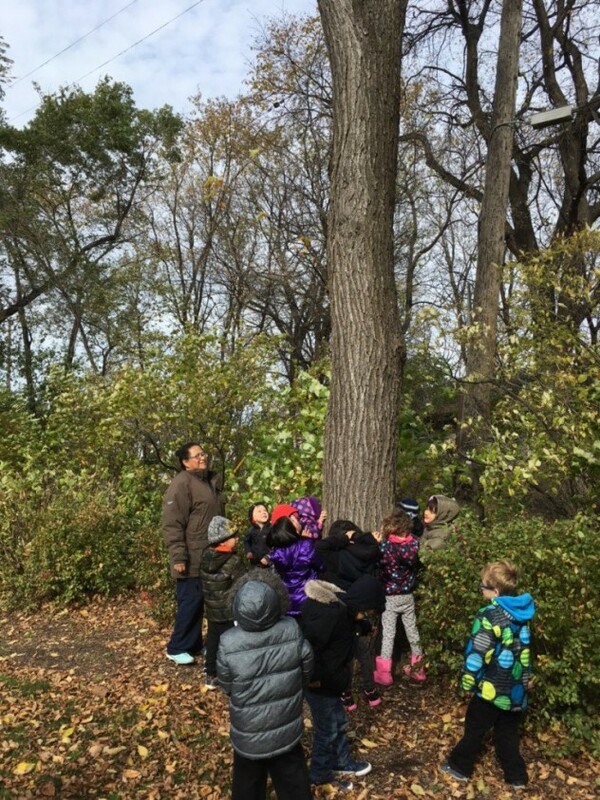 I wanted to encourage each child to see the adventure in their own backyard, so I planned a field trip to our park – Kildonan Park. We rode a school bus and arrived with a beaming sense of excitement. We were lucky to have Barret Miller from FortWhyte Alive to guide us through how spring has changed the park and lead us into an adventurous forest exploration. Children sought out sticks that were as tall as they were and found logs that were twice as tall as they were. We discovered the homes of small animals, and even a spider web nestled in the gaps between slabs of rock. 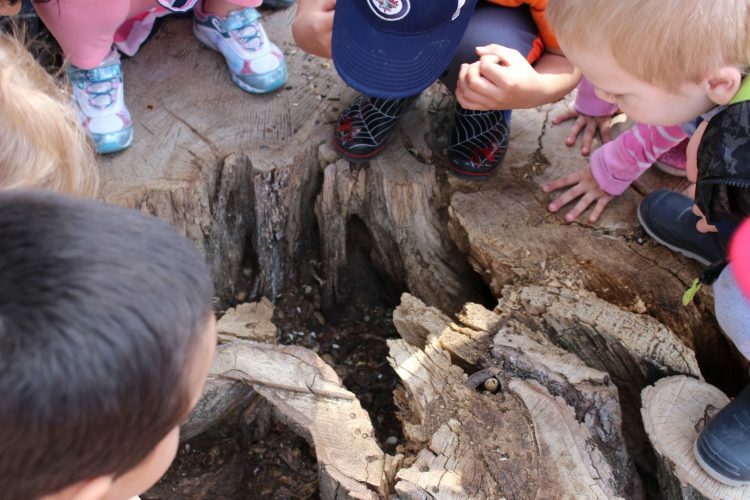 We made “forest stew” in a hollowed-out stump and followed the paths of ants. The weather was amazing and our adventure concluded with a bus full of dozy Kindergarteners, each of whom left with a stronger sense of adventure and a deeper connection to their community. This year, has afforded me a greater appreciation for the community in which I teach. As stated in my last post, my philosophy has been in flux as I was trying to find my niche in my new school and my place in the community. Now, I feel that I have finally found my place. The smiles on my children’s faces, and their grateful words, share a story of joy. They enjoy learning about street names, and love exploring new destinations. The children I teach will go on to know the special places in their neighbourhood and share their stories and experiences with friends and family. With confidence, they will describe their surroundings and use the directions to guide others from place to place. This year I have inspired curiosity in both myself and my students. Together we journeyed through inquiring about where it was we live. In the end, there are still lingering queries, but we know for sure, that we live in a place where adventures ensue just steps from our front door. Judson, G. (2015) Engaging Imagination in Ecological Education: Practical Strategies for Teaching. Vancouver: UBC Press. Postman, N. (1982) The Disappearance of Childhood. New York: Vintage Books. This was lovely! 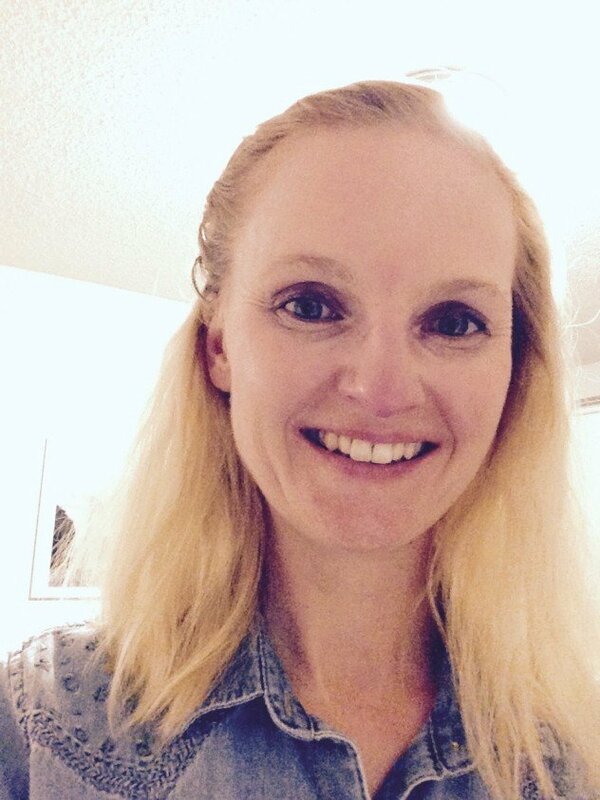 Thank you for sharing and for bringing to life how you help your students discover personal and social connections to place. Thanks for taking time to comment Elisa! I have let the author know. I agree…a nicely written post that demonstrates some thoughtful ways to cultivate students’ sense of place. Good Afternoon Elisa! Thank you so much for commenting. This year has taught me a lot about how connection to place helps implement the notion that our environment can indeed be our “third teacher”. Not only have my students found themselves within their neighbourhood but I have also made a significant connection to my new teaching community. Enjoy the weekend!! I’m already thinking ahead to next year. How can I use the notion of place to help my students understand what this means for them in their particular environment? So important to help our students in the 21st century understand this when fear and a sense of disconnect is what surrounds them everywhere they go.